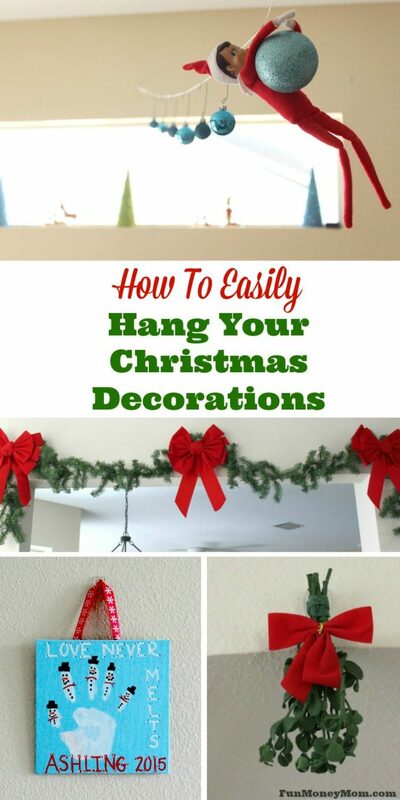 Do you love hanging Christmas decorations around the house? These make decorating super simple and easy! One of my favorite things about the holidays is pulling out all my Christmas decorations to give the house a festive look. There’s nothing that gets me in the holiday spirit more than coming home to a house full of Christmas trees and pretty greenery filled with red bows! Last year was our first one in our new house and I was still figuring where everything should go. While most of our decor fit right in, I had some extra garland that I couldn’t find a spot for. I ended up just leaving it in the box but didn’t want to do that this time around. I looked around and it didn’t take me long to find the perfect spot! Obviously Christmas decor is just temporary and I didn’t want to make holes in my walls with screws or nails. That’s why I love Command™ Brand products for jobs like this. I’ve been using them for years and I love how they easily stick to the wall and can be removed later without any damage. 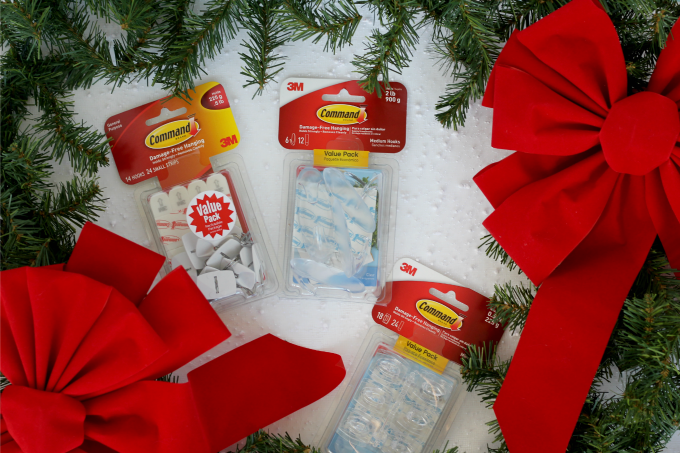 They’re perfect for the holidays when you have things that you want to hang temporarily. 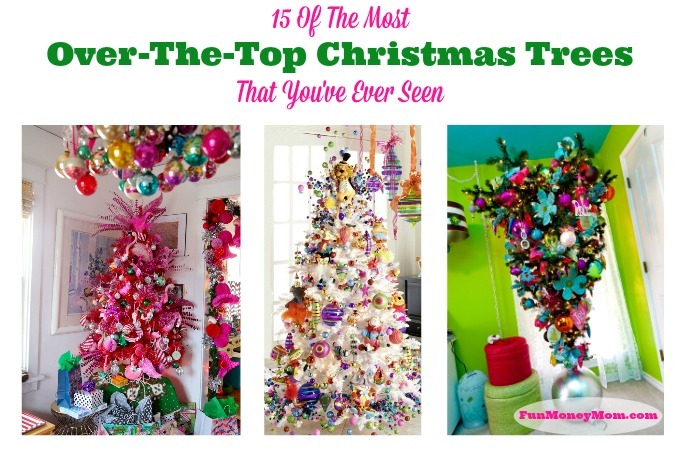 You can even start in October with Halloween decor, keep them up through Christmas and then take them down in January. I’m also totally guilty of hanging things, then deciding that they’d look better in a different spot. Now I don’t have to talk my hubby into repairing ugly holes that get left behind! I swung by Walmart because I knew they’d have a big selection. 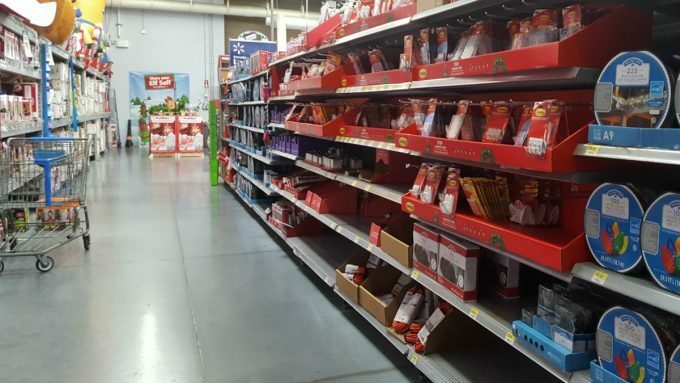 If you look for the display in the holiday section, you’ll find every kind of hook that you could possibly need! 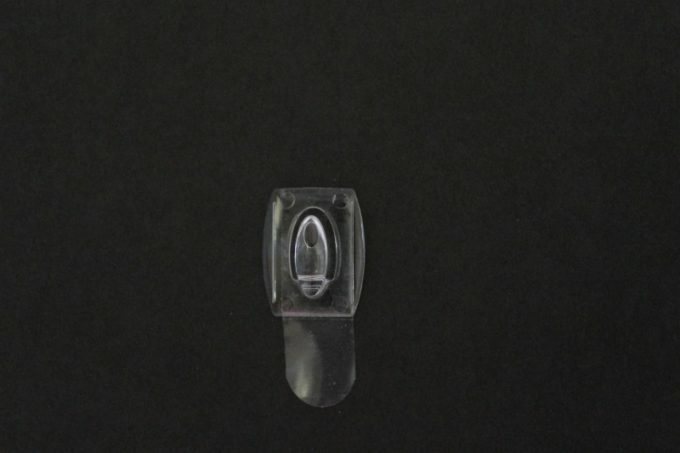 I picked up a pack of the Command™ Clear Mini Hooks and the Command™ Clear Medium Hooks for my decor. I also picked up a pack of the Command™ Small Wire Hooks just so I’d have them on hand if I needed them. 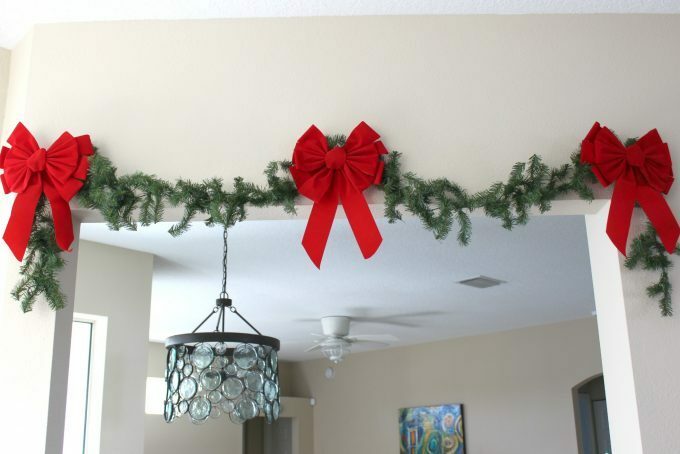 Now I was ready to hang my garland. I did this first hook on a piece of foam board so you could see how easy it is. 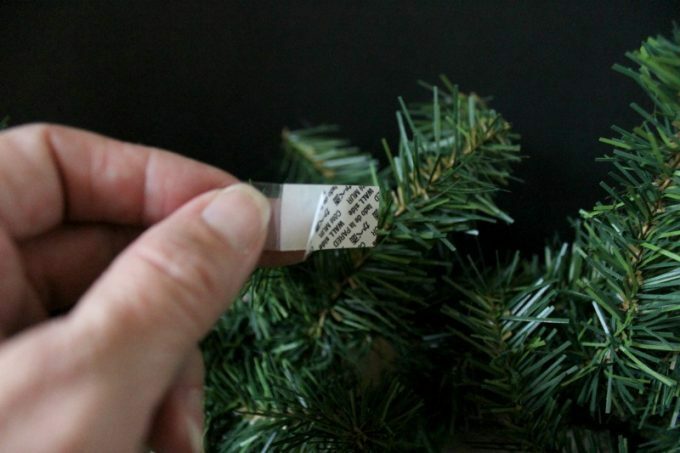 Start by taking one of the strips and peeling off the side with black lettering. Stick that to the wall and put pressure on it for 30 seconds. 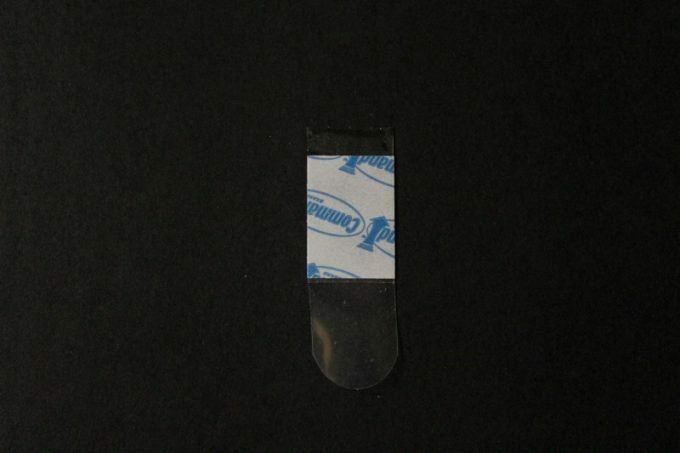 Next, peel the blue backing and stick your hook on, holding for 30 seconds again. Once the hooks are stuck to the wall, wait one hour to hang your decor. Note: When I later pulled this off the foam board, it didn’t even leave a mark. I was surprised considering how delicate foam board can be! I hung some hooks on the wall for my garland and love how pretty it turned out. 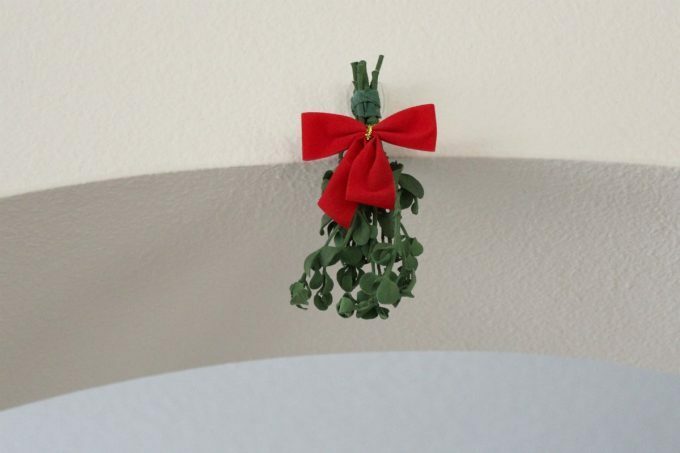 You can’t have Christmas without mistletoe, right? 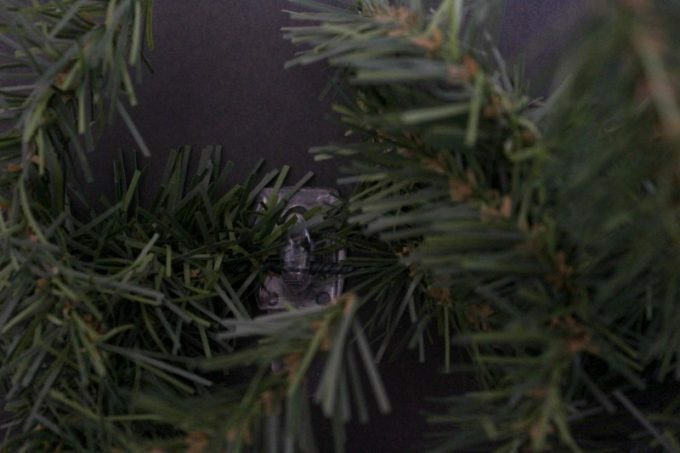 These hooks were perfect for hanging the mistletoe in a strategic spot! My girls had never seen mistletoe before so they were having a lot of fun trying to sneakily lure us under it. 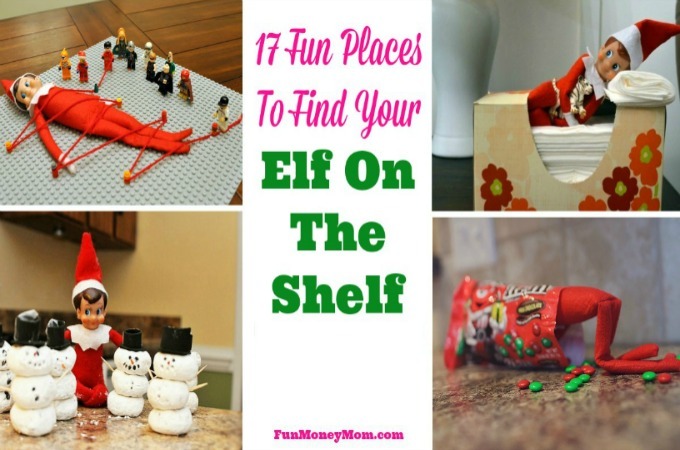 Want to hang the cute crafts that your kids made in school? They’re great for that too. 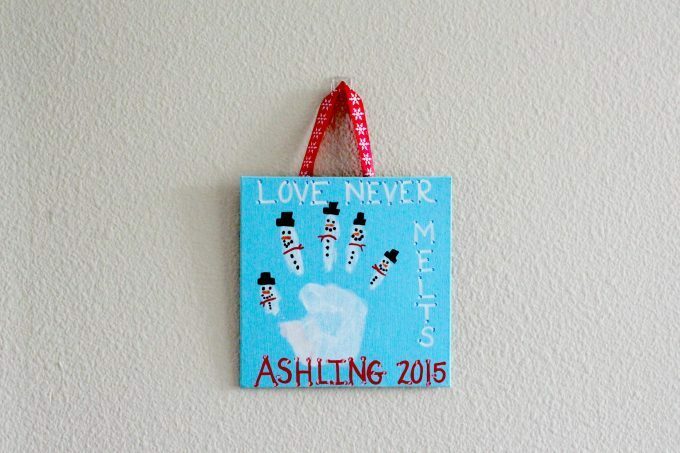 I originally had this with the snowmen collection but since I still had extra hooks, I put them to good use. Now that I had everything hung up, I could work on the rest of my Christmas decor! 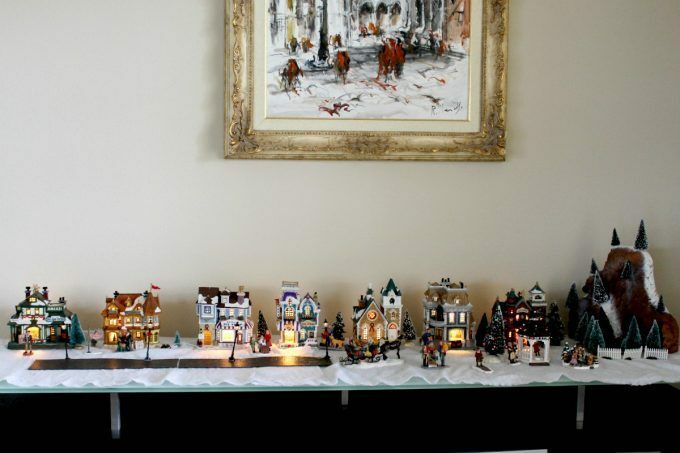 The first thing we put up was the Christmas village. However, since we have kittens now, our poor village has come under attack. Our little villagers have survived so far but it’s going to be a long month for them! After the Christmas village, my girls wanted to decorate their princess tree. Once that was decorated, we pulled out our pretty pink tree that we’d found on clearance a couple years ago. I get so excited when I find awesome Christmas decor on clearance! This is our “girly” tree and can only be decorated with pink or purple ornaments…and daddy is not allowed to help with this one. 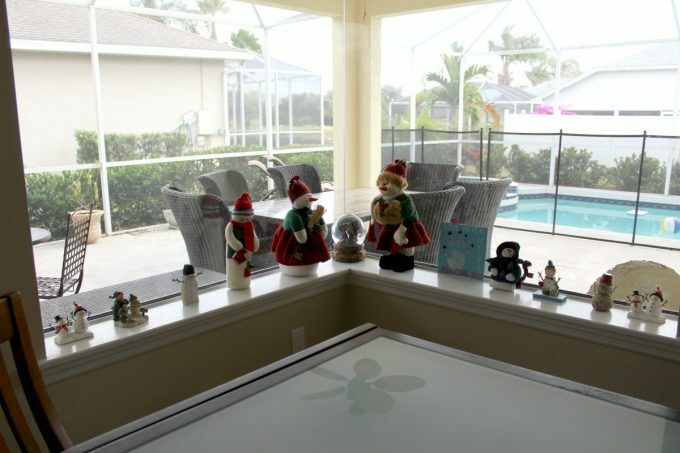 Our snowmen have adjusted well to the Florida climate and love their spot overlooking the pool! We took a little break and that night after dinner, we put up our newest tree, one with a beach theme. This is another tree we picked up during an after Christmas sale last year. It was the very last one so we were pretty proud of ourselves for making it just in time! 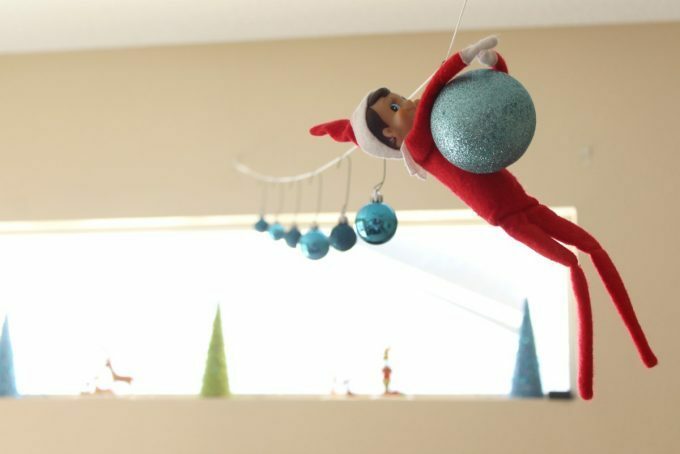 Our elf, lovingly named Elfy by my girls, had gotten into our container of hooks and ornaments and had his own ideas. Looks like he wanted to help decorate too! You can never have too many helpers, right? 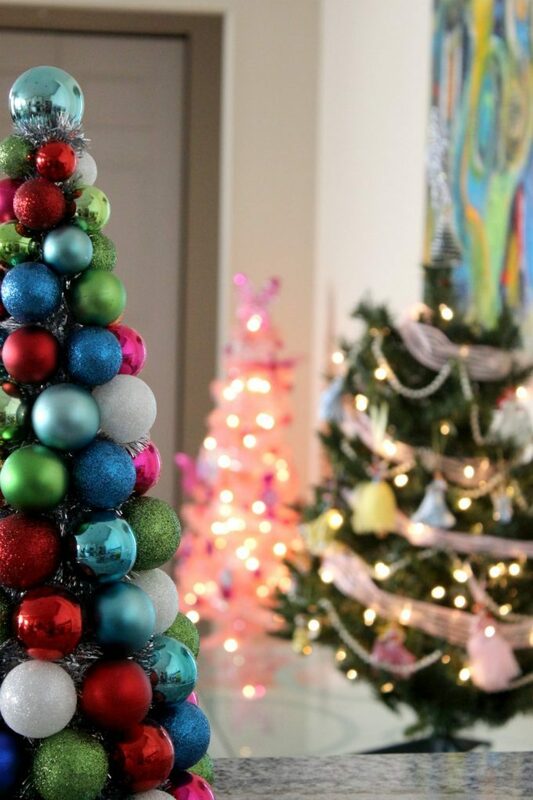 If you’re looking for more decorating ideas, you can find even more holiday decorating inspiration here. You can also find out more about Command™ Brand products by following them on Facebook, Twitter, Pinterest or Instagram. 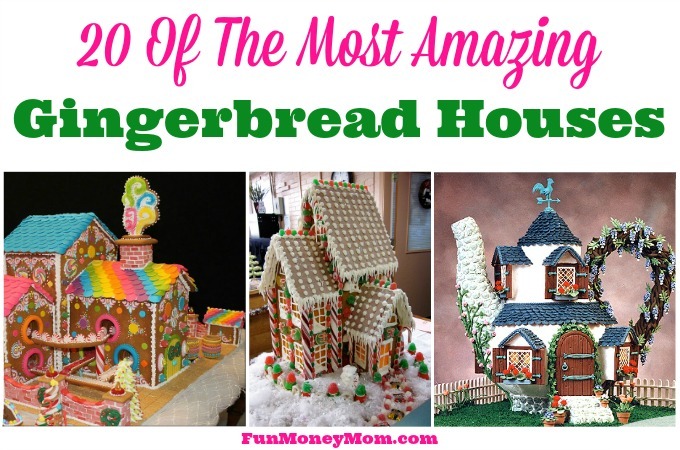 Do you and your family go all out for Christmas? What decor would you hand with these hooks? Your Christmas decorations look great! 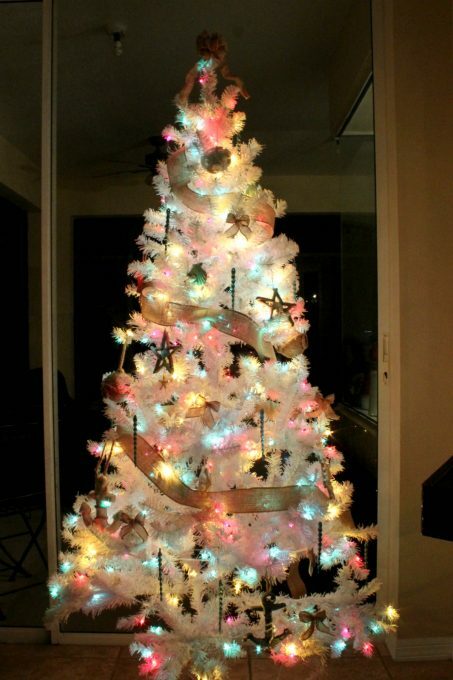 I love how easily you decorated! Thanks! The hooks made it so simple!